This Punjabi Parody Of Rihanna's "Work" Is... HILARIOUS! You’ve heard Rihanna’s “Work”, but have you ever imagined how it would be if it was made in Punjabi? 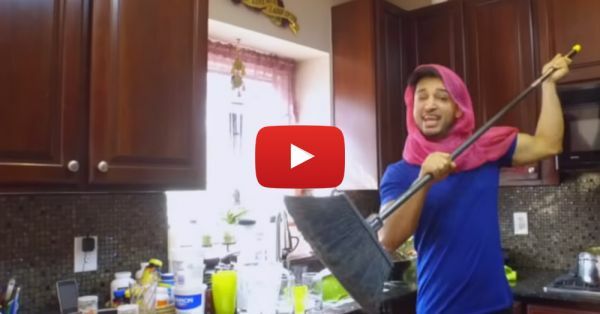 Rupan Bal made a Punjabi parody of the song and it’s just hilarious. We probably laughed more than we should! His Punjabi version is called “Kaam” (obviously! ), and every bit of the song and the video is funny. So, grab your bowl of popcorn and get ready for a short comedy drive. Watch the video and share it with everyone who loved Rihanna’s “Work”, we’re sure they’ll love “Kaam” too… ;) :P Also watch: The Hindi Version Of Justin Bieber’s “Sorry” Is Just SO Funny!